This stuff is heavenly! I would much rather have a fruit ice cream than chocolate. But that’s just me 🙂 Leave out the blueberries if you want a cheesecake ice cream only flavor. I know it has a mix in it… but I was trying this out. I think you could replace the instant pudding with some real cream cheese and add 1-2 eggs to help thicken the ice cream. 1. 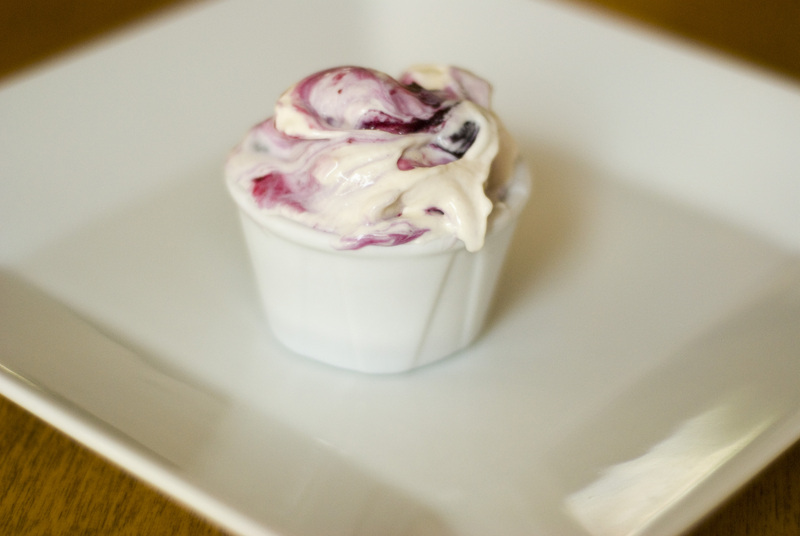 To make blueberry filling: combine the sugar and cornstarch in small saucepan. Stir in water. Stir in blueberries and lemon juice. Bring to a boil and simmer for 5 minutes. 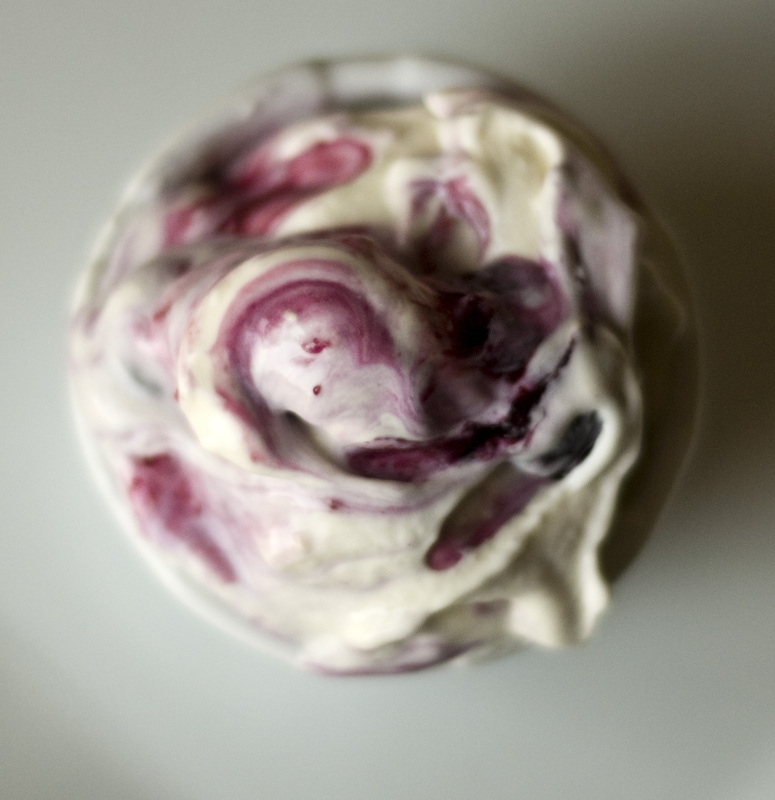 (If you like creamy ice cream like me with no chunks, mash the blueberries at this point) Put in the fridge and completely cool. 2. To make ice cream: whisk together all the ice cream ingredients. Put in your ice cream maker per its instructions. My Cuisinart made the ice cream in 20 minutes. 3. Take 1/3 of the ice cream and put into a large freezer proof bowl. Layer 1/3 of the blueberry mixture on top. Repeat two times and swirl. I’ve used my Cuisinart ice cream maker with the plastic paddle for years without any problems. I always handwash it of course.